Shop online for over 700 fox model trains at discounts up to 70%. Freight Cars is the most popular of the 5 fox model trains categories, then Locomotives, and Parts. This is the HO Scale Passenger Car Lighting Kit - With Magnetic On/Off Switch by Fox Valley Models. This is the Ortner 5-Bay Rapid Discharge Hopper SP 481252 N Scale Model Train Freight Car by Fox Valley Models. This is the Ortner 5-Bay Rapid Discharge Hopper CSDPU 79093 N Scale Model Train Freight Car by Fox Valley Models. This is the HO Scale GP60 SSW Cotton Belt 9669 with Sound by Fox Valley Models. This is the RD-4 Hopper BNSF 12 Pack #5 (#61-72) N Scale Model Train Freight Car by Fox Valley Models. This is the N Scale EMD SD70ACe w/NS Details - Standard DC - Norfolk Southern #1067 (Reading Heritage Scheme) by Fox Valley Models. This is the Ortner 5-Bay Rapid Discharge Hopper Santa Fe 85963 N Scale Model Train Freight Car by Fox Valley Models. This is the Ortner 5-Bay Rapid Discharge Hopper Santa Fe 85907 N Scale Model Train Freight Car by Fox Valley Models. This is the HO Scale EMD GP60M - Standard DC - Burlington Northern Santa Fe #107 (H2, orange, green, yellow BNSF). 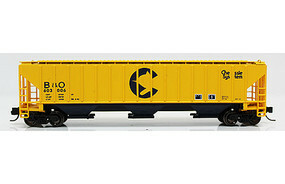 This is the Ortner 5-Bay Rapid Discharge Hopper SP 481292 N Scale Model Train Freight Car by Fox Valley Models. This is the N Scale Coal Gondola Southern Railroad green #1 (6 pack) by Fox Valley Models.